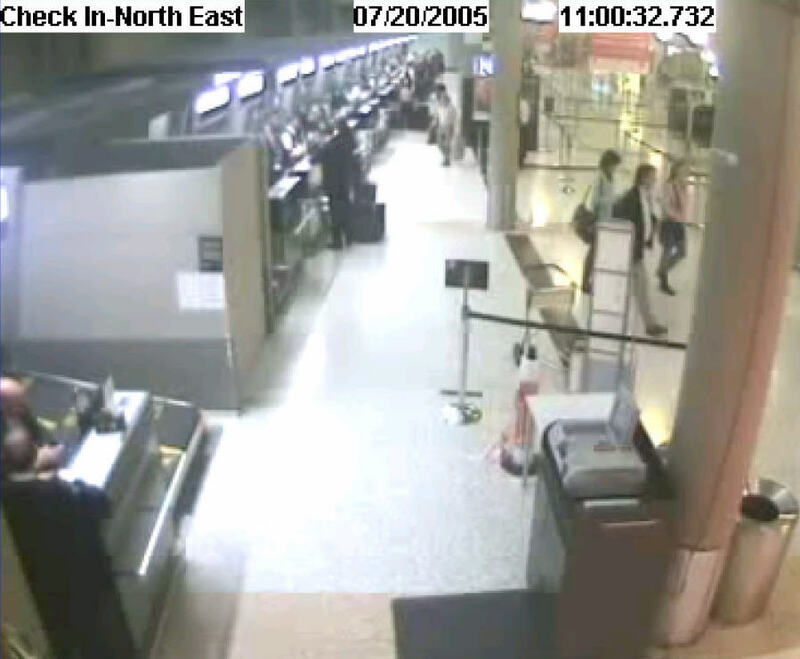 When Schapelle Corby's lawyers requested CCTV footage from Brisbane Airport they were confronted with a variety of excuses. Indeed, as documented in the Transit Report, different agencies provided different and conflicting stories, to different parties. 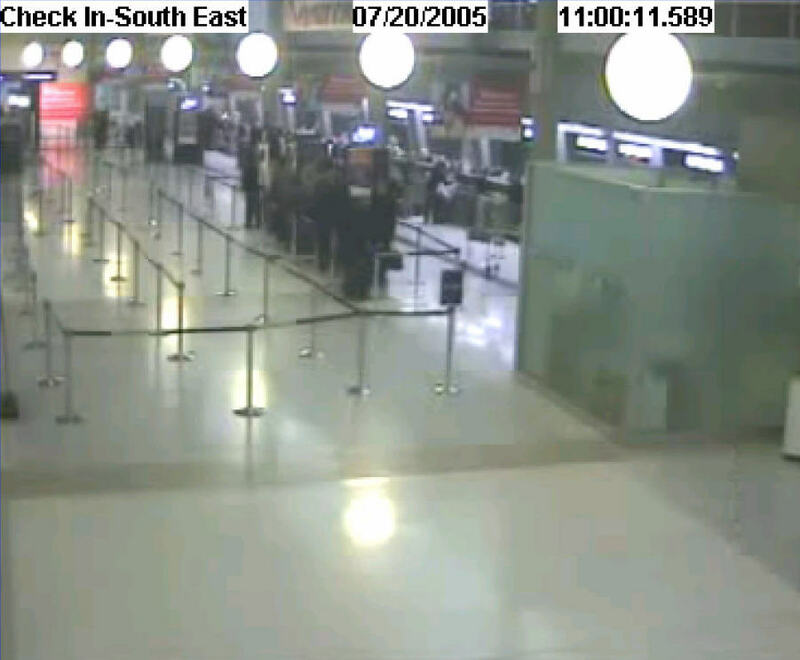 Other questions related to the number of cameras covering the check-in area, and the quality of CCTV images themselves. 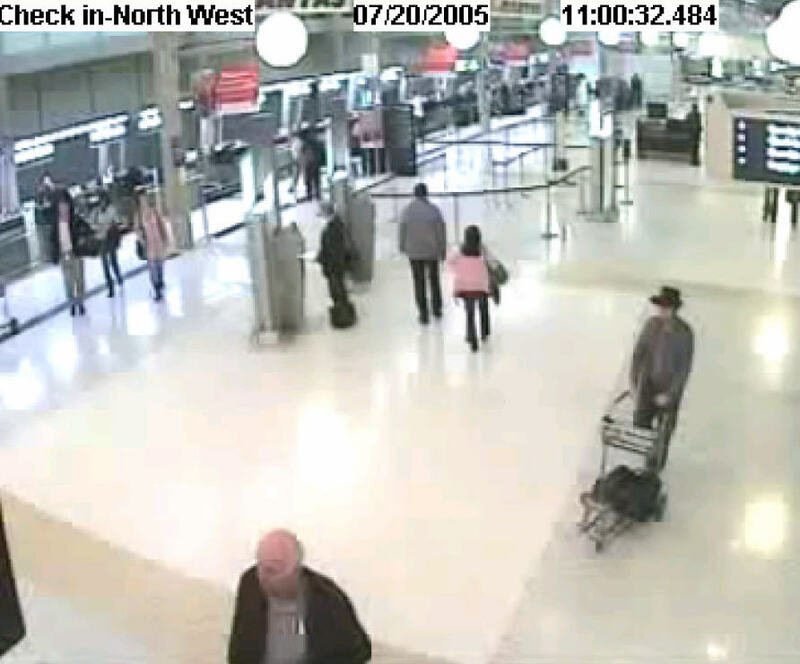 As this reveals the path which Schapelle Corby must have taken through the airport check-in area, it is possible to determine specifically which cameras would have filmed her. The following images were taken by four of the actual cameras which would have recorded images of her carrying the boogie-board bag. She would have been filmed by each of them, and by a number of others. From the high quality of the images, there is no doubt that each would have clearly revealed the difference between an empty bag, and one packed full with 4.2kg of marijuana. This would have been particularly evident as she passed close to each camera. 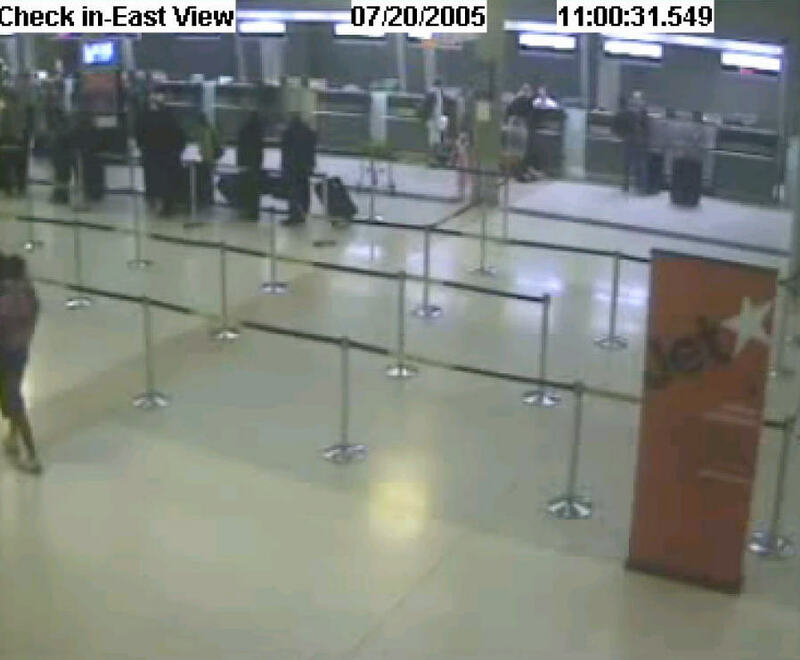 For example, the bag would have been filmed in the immediate foreground of the camera Check-In-North-East, as it was placed on the conveyor belt. There would have been no doubt, whatsoever, whether the bag was checked-in with, or without, marijuana. However, as documented in a number of Expendable Reports, Schapelle Corby’s desperate efforts to secure the footage was frustrated at every turn. The same applied with respect to both Sydney Domestic and Sydney International Airports. She realized that one single image would have cleared her. But none were forthcoming, from any of the three airports. As clearly stated in the Qantas submission, above, the collective weight of the bags was 65kg. 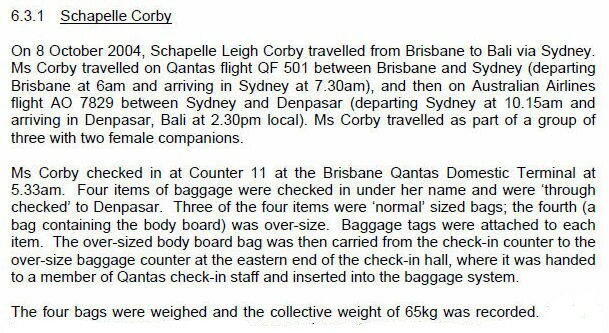 Qantas did not explain, however, either to Parliament, or to Schapelle Corby, that whilst this was 5kg overweight, there was no excess baggage charge levied ($175), and no fuss made at all at the check-in desk. The bags checked in underweight, but were subsequently shown to be overweight on the Qantas system, by a figure adequate to account for 4.2kg of marijuana. See A Question Of Weight for further details. This vital evidential information was never volunteered by Qantas, and was never presented to the Bali court.